Europe’s Financial Mechanism for Iran (INSTEX): Will It Be Enough to Save the JCPOA? More than eight months after US President Donald Trump’s decision to unilaterally withdraw from the 2015 nuclear deal (JCPOA) with Iran and in a bid to save the deal from the total collapse, Germany, France and Britain announced on January 31 the establishment of a new financial mechanism to enable trade with Iran. The mechanism, which is officially called the Instrument in Support of Trade Exchanges (INSTEX) is supposed to facilitate “legitimate trade between European economic operators and Iran,” according to a statement issued jointly by the foreign ministers of the three European countries. In fact, the establishment of INSTEX amid increasing US pressures and sanctions on Iran is the latest, maybe the most evident sign of a dissatisfaction among the European powers of Washington’s growing unilateralism in the global stage, which has been reflected not only in withdrawing from the JCPOA, but also in igniting an actual trade war with the European Union, as well as withdrawing from a number of other international agreements and treaties. As a result, the European powers have effectively taken the lead in finding measures to claim an independent role for Europe on the global scene. In this vein, speculations on the possibility of the formation of a “European army” have been raised at the same time as the EU has been mulling ways to maintain and strengthen the role of euro in international trade. As such, although INSTEX is primarily of an economic nature, its political implications are far more significant. It should be reminded that a decade before Iran and the E3+3 group (Britain, France, Germany, Russia, China and US) get involved in marathon negotiations that resulted in signing the JCPOA in 2015, it was the E3 that first started talks with the Islamic Republic on the nuclear issue. In this vein, the three European powers see the deal as primarily a European initiative that should be saved. This is apart from the negative economic and security implications the collapse of the JCPOA could bring about for Europe. However, despite its political significance, there are at least three important issues that may obscure the future of INSTEX and whether it will be fully functional: First, according to the E3 statement, INSTEX will be used “initially to sell food, medicine and medical devices” to Iran. This is while, Iran expects any European measure to cover all aspects of trade with the country, including those unilaterally sanctioned by the US. Second, it’s still not clear whether the other European – or non-European – counties are willing to join the initiative and use this measure to continue trade with Iran. If not, that may to a great extent decrease the effectiveness of INSTEX. Third, at the same time as the three European powers are trying to make INSTEX a viable aspect of their ties with Iran, they are pressuring Iran on issues related to the Islamic Republic’s missile and regional activities. As such, there’s a concern the Europeans might want to use INSTEX as a leverage to compel Iran to give concessions on those issues. This would undoubtedly spark a negative reaction from Iran that might result in a total failure of the measure. Given the abovementioned points, it’s still too soon to conclude that the newly established European measure could be an effective tool for saving the JCPOA. 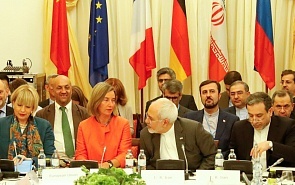 However, if within a not-so-long period of time, the three founding states expand the scope of the measure to include both sanctioned and non-sanctioned items and encourage other parties to get on board, the real economic impacts of INSTEX, as well as its effect on Iran’s decision to remain fully committed to the JCPOA, would start to appear. If successful, the measure could even be regarded as pattern to be used for other countries and projects under unilateral US pressures – like Russia’s Nord Stream 2 project.